Need help with your order? Have a question about one of our products? Contact us! An expanded edition of this classic book on grief and loss―with a new preface and epilogue Loss came suddenly for Jerry Sittser. In an instant, a tragic car accident claimed three generations of his family: his mother, his wife, and his young daughter. While most of us will not experience such a catastrophic loss in our lifetime, all of us will taste it. And we can, if we choose, know as well the grace that transforms it. A Grace Disguised plumbs the depths of sorrow, whether due to illness, divorce, or the loss of someone we love. The circumstances are not important; what we do with those circumstances is. In coming to the end of ourselves, we can come to the beginning of a new life―one marked by spiritual depth, joy, compassion, and a deeper appreciation of simple blessings. Healing Center International is a participant in the Amazon Services LLC Associates Program, an affiliate advertising program designed to provide a means for sites to earn advertising fees by advertising and linking to Amazon.com. By using this link, HCI receives a commission from Amazon. Thank you for supporting our ministry! Overcoming barriers to intimacy, overcoming narcissism in community. A recording of, Life Model leaders, Jim Wilder and Ed Khouri, live at Thriving DC 2015: Leader Advance. This 5 hour, two part series features the lectures: How to Spot a Narcissist in the Woods and How do we keep a Narcissist's Bite from Being Fatal? A single narcissist can destroy budding community because they deflect even gentle reminders that they are not relating well to others. They defend themselves, blame others and refuse to consider their own culpability. How can we (as leaders and gentle protectors) help people leave narcissistic behavior behind? 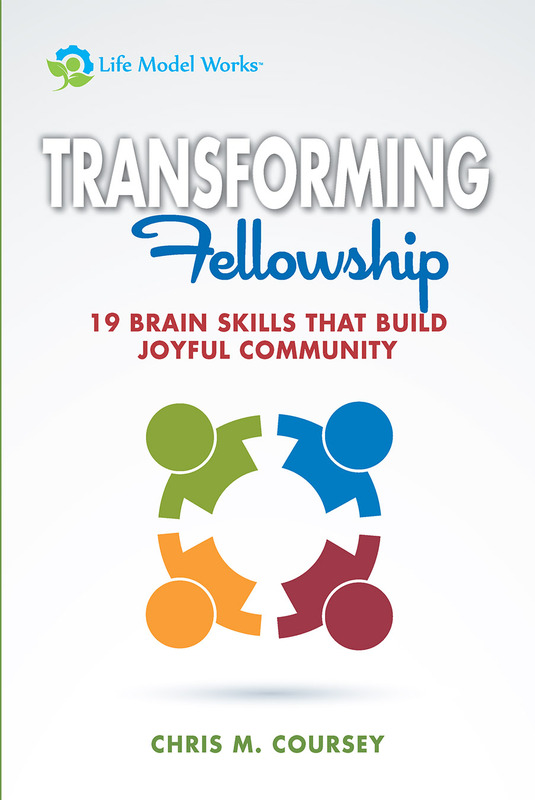 You won’t want to miss the combination of brain training, human development and connecting to God that will empower you to see the narcissists in your midst from God’s perspective so you can lead your group back to joy. *Please note that due to the size of the lecture, the CD will be MP3 formatted. This CD may not be compatible with some older CD players. Who doesn't need a complete guide to living with men? This book contains the most complete description of Life Model maturity stages in print. It includes detailed information on the Life Model maturity stages for men and women from infant to elder. Written by James Wilder, it provides an in depth look on the brain maturity and human development to help produce healthy men in all areas of their lives. Yes, this is a guide to the inner workings of men, for men and the women who love them! Don’t slog through life. Take courage. Here is help that will enlarge your soul. The work of God's grace forms us. Join David Takle, a brilliant mind and protégé of Dallas Willard, on his adventure of discovering just how God's grace transforms us. He continues to share with us the wisdom he has received from Christ over the course of his life and ministry, Kingdom Formation. With more than 400 pages of detailed information on spiritual formation, this long-awaited book is the basis from which the entire Life Model Forming course was created. A recording and accompanying workbook of a seminar with the Rev. Robert Walter offered in Fairfax, VA on Oct. 2-3, 2015. In this seminar, we explored the powerful effects of both shame and grace and how discoveries in brain science confirm what the Bible has been saying all along about the source of our strength. The seminar included stories, scriptures, small group sharing and Immanuel Prayer engagements. We hope to help you take a giant step forward on the journey of faith. Experience five hours of intense teaching! It's the Master who heals troubled hearts. Healing Troubled Hearts through exchanges with the Master, walks you through Bill Day's journey out of New Age spirituality and into a solid faith in Jesus. In the book, he explains the distinctions between Christian inner healing and new age practices, and gives many examples (from his own practice) of various types of healing prayer. This is a book about inner healing ministry and therapy and the author, Dr. William Day, is a hybrid of psychotherapist and minister. He first describes his own tortuous journey that finally led to real healing. He then shows how this healing and subsequent training shaped the development of his private practice: Deep Healing Psychotherapy. The book has a two-fold focus of distinguishing Biblical inner healing from New Age spirituality and firmly anchoring its roots and substance in the heart of the Gospel. 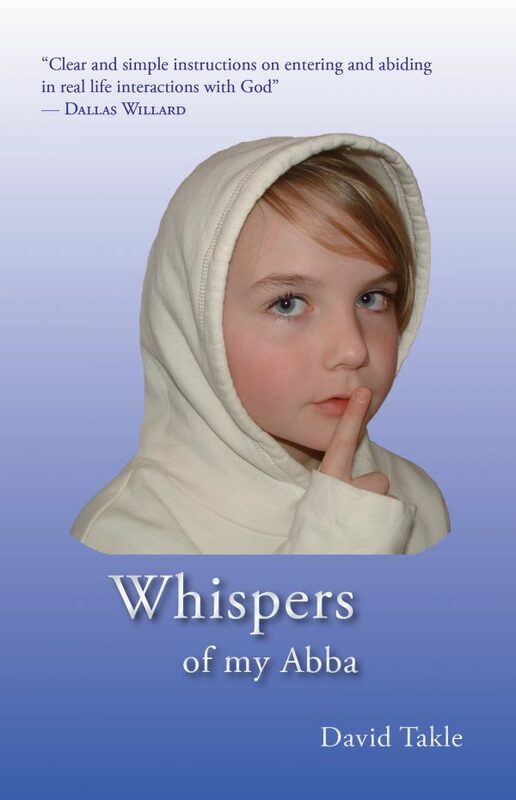 The pages abound with real-life stories, actual inner healing sessions and testimonies of patients and colleagues. Feeling spiritually dry? Gather a few friends and host an Immanuel Day, or gather a few friends and take a day away with Immanuel! You will find that God is far more accessible that you think. As Jacob once said, “…Surely the Lord is in this place, and I was not aware of it” (Genesis 28:16, NIV). Facilitator workbooks include an accompanying PowerPoint, and you can also purchase a facilitator workbook and our Immanuel DVD set together. "You should call this class Soul Spa. I feel as if I have just had a full body massage!" "If you have ever wished to you could help others experience more of God’s presence and be more connected with him, Immanuel Day is one of the best resources you will find anywhere! In this one-day interactive workshop, Betsy Stalcup provides everything a facilitator needs in order to lead a group through various exercises of quieting, noticing, connecting and listening. And throughout the workbook, she offers numerous stories and examples that help to demystify what it means to spend time with Immanuel. It is like having a personal mentor actually walk you through the process of getting closer to God! I heartily recommend this work!" Experience Immanuel, God with us! God is always with us, but we often aren’t aware of his presence. Learn simple steps to encountering God through an Immanuel session led by Healing Center International Director, Betsy Stalcup. You can have a more intimate relationship with God! *Please note, some older DVD players paired with 4K TVS, may have problems displaying content from standard DVDs. Let's revive our motivation for relational intimacy. How can we create the kind of community we actually want to belong to? We dream of healthy communities where we can both give and receive life, but most of us hesitate when we think about getting close to the people we know. Will they still want to be with us if they get close enough to see our flaws? Sometimes it seems easier to throw ourselves into performance-based living where we earn kudos without having to reveal our hearts; but deep inside we know that chasing the performance-based life does not satisfy, leaving us sad and lonely. During Thriving DC 2015, we engaged with God over the topic of Intimacy for Everyone. This conference is for everyone regardless of marital status, for God created all of us to live in intimacy—to take off our masks and be transparent without overwhelming each other. We were made for community. We were also made to be deeply connected to God, abiding in his presence, hearing his voice, receiving his comfort and seeing his perspective on ourselves, those we love and all of life. Surprising joy. Profound healing. Intimate connection. Follow E. James Wilder, Anna Kang, John Loppnow and Sungshim Loppnow as they teach you how to practice God's presence every day. Discover how you can enjoy daily guidance and friendship with God, using methods grounded in scripture, spiritual disciplines and cutting-edge neuroscience. This book from Life Model Works, will help you listen to what Immanuel wants to share with you—helping you grow and mature your friendship with Christ. Joy starts in the tranformation zone. From the moment we’re born we search for joy but always seem to come away empty. What is it? How can we get it? Is it even possible? Joy is a banquet table to which we are all invited. The places are set, and the table is filled with the delightful aroma that satisfies our deepest longing for life-giving connections with God and with others. There is room at this table for everyone; young and old, weak or strong. So pull up a chair, we've been waiting for you! This is the real joy you've been seeking. The solutions and exercises in this book will teach you the essential skills needed to restore and grow joy with those around you. Joy Starts Here is considered the sequel to Living from the Heart Jesus Gave You. Authors E. James Wilder, Ed M. Khouri, Chris M. Coursey and Shelia D. Sutton share their life stories as they walk us though how to live in joy. Real joy is attainable; it is able to be grown and cultivated. When real joy is found, it can change families, schools, churches and the world. HCI has developed a facilitator workbook based on this Life Model book! Email us at HCI@GodHealsToday.org to find out more and order a copy today! The Life Model is a unifying approach to ministries of counseling, recovery, pastoral care, prayer ministry, deliverance, inner healing, child rearing, body life and health. Substance abuse recovery programs internationally are guided by the Life Model's five principles. Because the Life Model develops strong maturity, it is widely used as a church model, particularly where people must face suffering. Missions have adopted the Life Model for restoring hurt missionary children. Almost every major ministry dealing with trauma and abuse in the USA uses the Life Model as part of their teaching. Written by James Friesen, E James Wilder, Anne Bierling, Rick Koepcke, and Maribeth Poole. Live relationally! Learn how to enjoy God and others. All of our relationships were meant to be life-giving, but many are more painful than joyful. Learn how to build joy with those you love and how to connect deeply and intimately with God so that you can interact with him throughout your day whenever you need comfort, guidance or just someone to love you. Living Relationally examines what life could be like if you had the relational skills to connect easily with God and others. Learn to live a life focused on relationships instead of one focused on success or performance. Based on a compilation of key concepts from the Life Model (and full of Life Model exercises! ), Living Relationally is for people who want to learn exercises that will transform your life through increasing maturity and attunement to God. In this 12-week class, you will begin to train your brain to receive and give joy, return to joy from distress, build joy with others and connect better with God. Topics integrate neuroscience with the Bible, and relational exercises that help rewire our brains to live in joy and peace, the quiet face of joy. Catching your past invading the present and what to do about it! Outsmarting Yourself is about uncovering your brain's strategies for navigating the world - strategies which sometimes help...and sometimes don't! Dr. Lehman presents evidence from scientific research, case studies, and personal experience that will convince you of the reality of "invisible" memory and your Verbal Logical Explainer (VLE), and then help you maximize their strengths while minimizing the havoc they can cause. Dr. Lehman teaches you how to leverage the things you can choose to do something about in order to overcome the problems you can't choose to change directly. Outsmarting Yourself will enable you to understand the people in your world, including yourself, and give you realistic, psychologically sound, and Christ-centered tools for becoming a joyful, life-giving person with thriving relationships. You can be prepared to assist others and leave a permanent improvement of peace in relationships as people recover from loss. Passing the Peace can now be a common Christian practice. 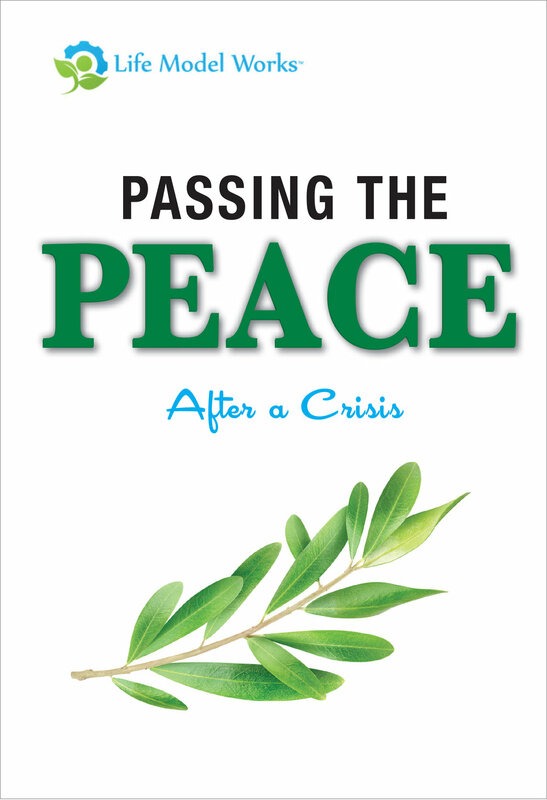 Every Christian Organization, Church and Community should know how to pass the peace after a crisis. This resource was also designed to help those providing the care, preventing compassion fatigue, secondary post-traumatic stress and other emotional injuries to disaster relief teams. Order the booklet today and start passing the peace of Christ to those in need. How can we create the kind of community we actually want to belong to? We dream of healthy community where we can both give and receive life, but most of us hesitate when we think about getting close to the people we know. Will their weaknesses overwhelm us? Will they still want to be with us if they get close enough to see our flaws? Sometimes it seems easier to throw ourselves into performance-based living where we earn kudos without having to reveal our hearts. But deep inside we know that chasing the performance-based life does not satisfy, leaving us sad and lonely. God created us to live in intimacy; to take off our masks and share the joys and sorrows of life within a circle of loving relationship. Join us as we learn to experience healthy connection, as God revives our desire to be connected and as we learn to live the abundant life he designed us to enjoy. This conference workbook contains speaker notes and more from the Thriving DC 2015 Conference and Leader Advance. It also accompanies the audio recordings of Barriers to Intimacy: Overcoming Narcissism in Community and Intimacy for Everyone. Relational brain skills change our lives and transform our relationships. Learn the 19 critical relational skills needed for resilience, peace and joy in every family and community. The Bible and brain science combine to show us active solutions we ordinarily overlook for personal and corporate transformation. Transforming Fellowship tackles the central issue that is destroying the credibility of the Western Church. Our fellowship lacks the transforming power Jesus intended. Through Transforming Fellowship we each actively contribute part of Christ's character to one another. How we think, live and react changes at a basic brain level. Transforming Fellowship develops both deep love and relational skills. Transforming Fellowship is as deeply spiritual as it is practical. Have you ever thought ... if the truth can set me free, then why am I still carrying around all these problems that never seem to go away? Why has my spiritual growth slowed down after so many years of Bible study and listening to sermons? What am I missing? In Truth About Lies you will learn: 1. Why Christian education is not enough. 2. Why trying to live up to a moral standard won't work. 3. How truth changes lives. 4. What makes the difference between truth that changes us and truth that does not seem to help.